As an Arthur Murray Franchise, we have over 98 years of experience in teaching ballroom dance. At our studio, you can expect the finest in ballroom dance instruction, as all of our dance teachers in Etobicoke are carefully selected and thoroughly trained in the exclusive Arthur Murray teaching method. 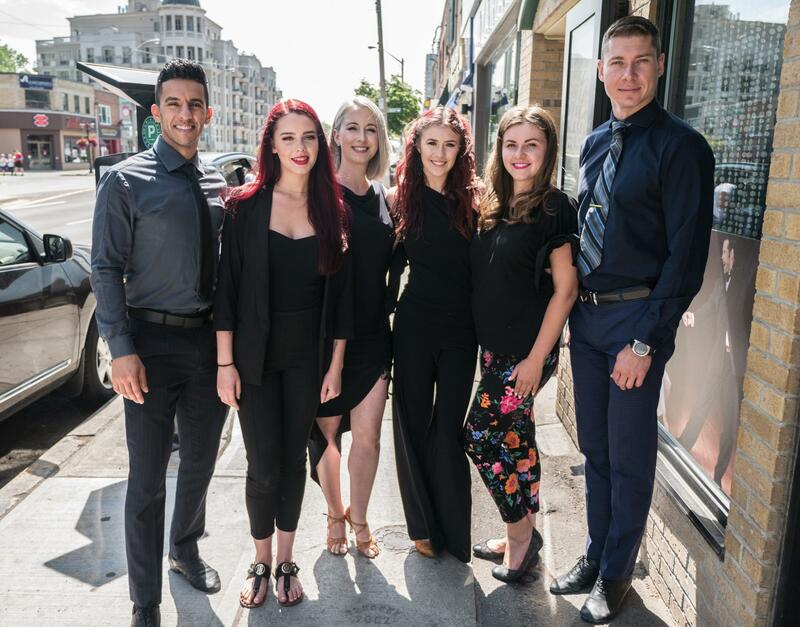 As a student of our adult dance classes, you will have a team of Etobicoke dance teachers who are responsible for your progress and keeping you on track. We realize that every student has a unique blend of experiences and backgrounds along with their own style of learning. Over the years, we have learned that by working with a variety of Etobicoke dance teachers, you will learn at a faster and more efficient pace because you are able to get different points of view and hear things explained in different ways. Lisa is the owner/franchisee at Arthur Murray Yorkville, Etobicoke, North York Woodbridge, and Richmond Hill studios and is the director of the Toronto market and district leader for Arthur Murray International. While she wears a lot of different hats, Lisa has never lost sight of her roots in dance or her passion for watching students develop. You have come to Arthur Murray because you believe that we can provide you with the highest quality Etobicoke private dance teachers, not to dance with just one particular dance teacher. These are the reasons why all of our students regularly have exchange dance lessons with other dance teachers. We have found that a team teaching approach promises that your ballroom dancing will continue to progress at a regular pace, even if one of your Etobicoke private dance teachers is not able to be at the studio. At Arthur Murray, you don’t have the support of just your instructor, you have the support of the entire staff. Whether it is to be that star performer or a confident social dancer, our Etobicoke dance teachers are prepared to help you achieve your goals.